I made this card for my daughter to give to her grade 8 teacher as a thank you. This teacher has inspired my daughter throughout elementary school and has given her much support. The sentiment is perfect! 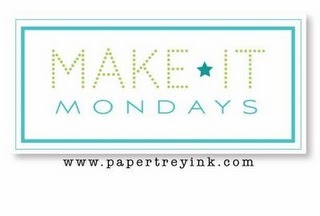 This month I am combining the Blog Hop with the current Make It Monday Challenge #20 - Reverse Masking. 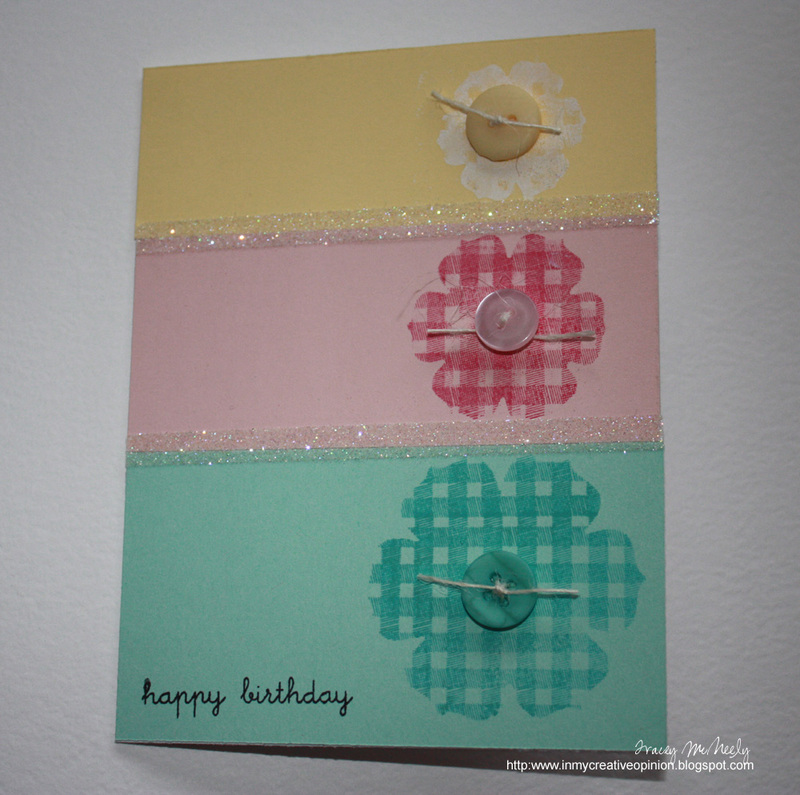 The colour scheme was chosen from the Blog Hop inspiration photo (below), I did reverse masking using the three sizes of my Beautiful Blooms dies cut on post-it notes, stamped using the Gingham stamp, added 1/8" Score Tape and glitter then added buttons and twine. I topped it off with a sentiment. Other: Lemon Tart, Sweet Blush and Hawaiian Shores buttons, Rustic twine, Score Tape, glitter. My daughter graduated from grade 8 this week. She was the Valadictorian, and won the Leadership and Performing Arts Awards. We couldn't be more proud. 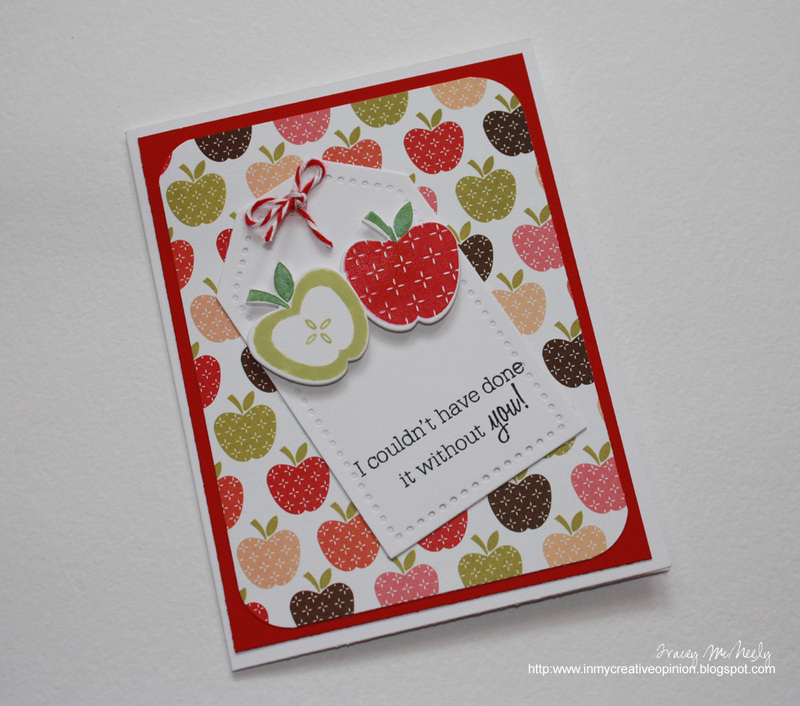 Another CAS card﻿ using some of my favourite goodies. The scroll was made by wrapping a 1 3/4" x 6" piece of paper around a pencil, gluing almost at the end so that the paper had a bit of a flap to it. Then I tied a small piece of black and white baker's twine around for an authentic look. 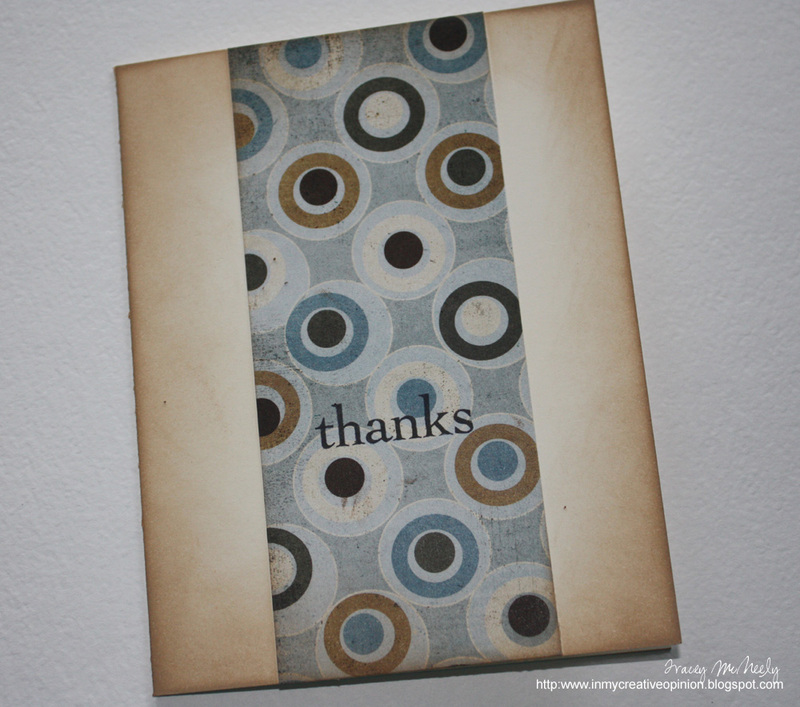 I made up this simply thank you card for a teenage boy to give to a male teacher to say thanks for all their help, CAS. Happy Father's Day to all the father's out there. For me this is the end of a very busy weekend. My daughter returned home Friday night from her grade 8 graduation trip to Montreal, Saturday morning she had her dance recital then a soccer tournament Saturday and Sunday. While this was going on my son had rugby all weekend and exams coming up this Monday, Tuesday and Wednesday. Good times, but busy times. 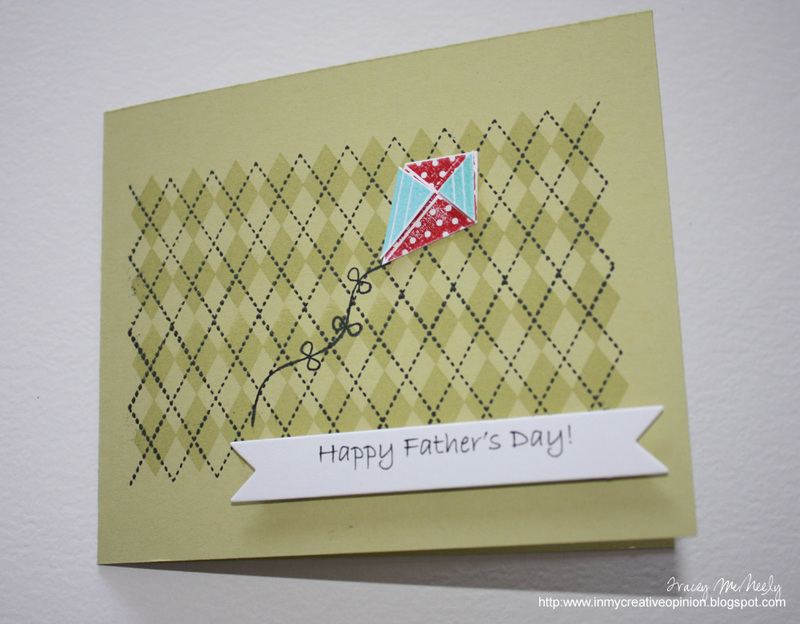 I managed to get Father's Day cards done for the father's in my life--my dad, my father-in-law and my husband. These first two cards were a compelte scraplifte from the amazing and talented Niki Estes Niki made these cards last year in a post for Papertrey Ink, there was not much to change. The patterned paper and the sentiment was about all. Thanks Niki for the inspiration. The next card for my husband was inspired by Laurie Wilson. I just absolutely love her work, CAS. I love a card she did quite some time ago using Spring Moss cardstock and ink along with a side fold card and A Little Argyle stamp set from Papertrey Ink. Thanks Laurie. 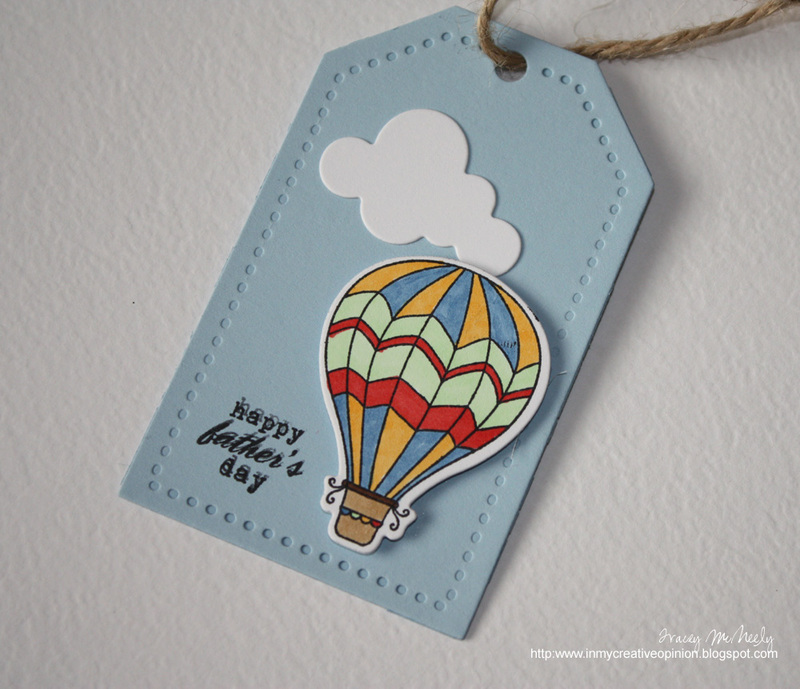 Finally I want to share a tag created for my son to give his father. He did the colouring with Copics. I save the PTI gif image of the stamp set. I open a Word document and insert the picture. I enlarge it until it is the same size as my stamps. 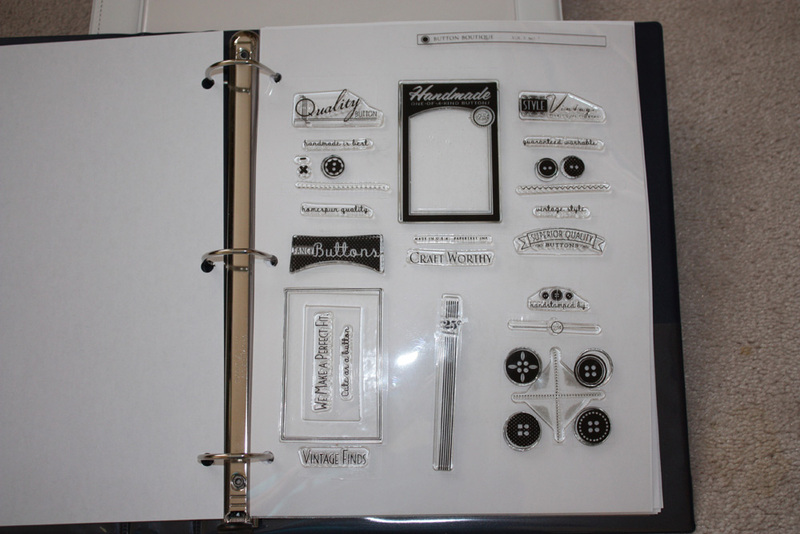 Place a transparency sheet over the printed image. Take out my label and sharp scissors. Cut out and stick the title to the top right on the transparency. Cut and stick the remaining images. 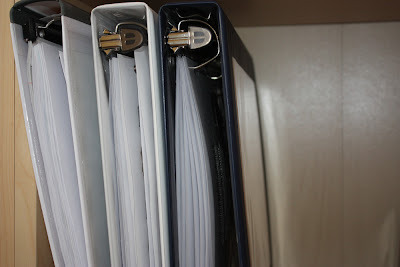 Three hole punch and place in a binder. 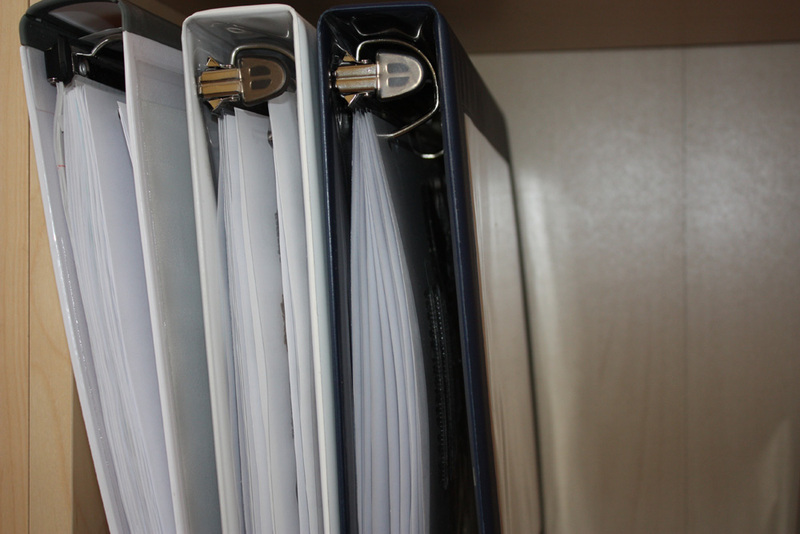 * I store my binders so that the pages fall down. See below. Okay this is a bit labour intensive, but it works for me. 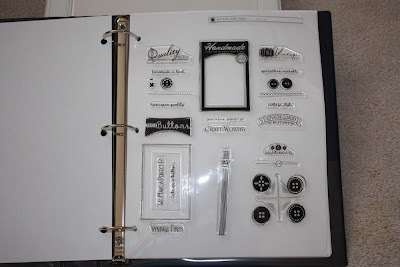 I am working on die storage but Dawn McVey's system she uses looks like it will work for me. Here is Dawn's link . Today is the day I have finally opened my Etsy store, the link is here or to the right. The plan is to sell items that you can use to make your own creations, some items are from existing manufacturers and some will be embellishments, cards and kits created by me. 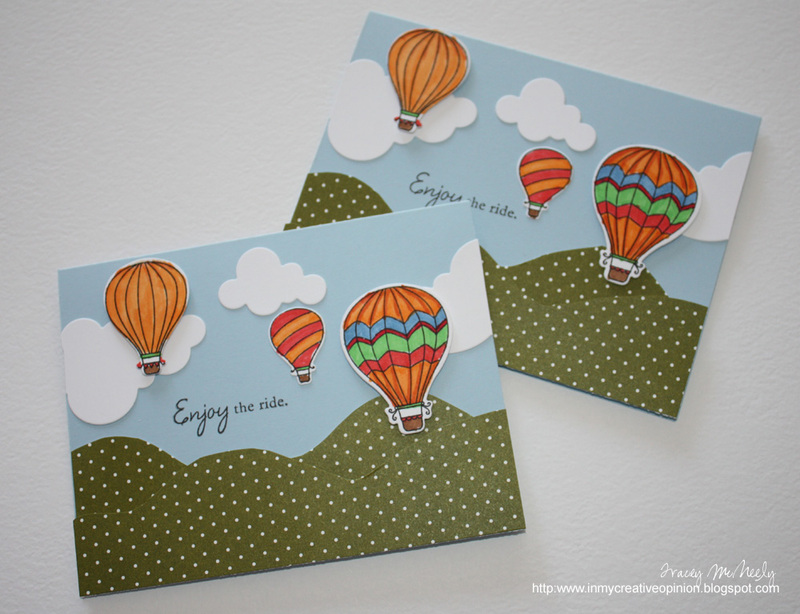 Check in over the weekend as I have a couple cards to add to the shop. Most items will be small enough to transport in a small padded mailer envelope so shipping is reasonable. I hope you enjoy, I will post new items here in my blog as they come available. The other day I was pleasantly surprised to be tagged by Lisa of My Paper Tales blog http://mypapertales.blogspot.com/ for the Leibster Blog Award. I couldn't believe that someone found my little piece of the Internet and found that it inspired them. Thank you Lisa humbly from the bottom of my heart. I have chosen to tag the following three blogs that I visit regularly and find their work so wonderful and inspirational. Ladies, please know that you are under no obligation to tag anyone if you'd rather not, but I hope you visit and enjoy these beautiful and inspiring blogs as I do. While you are there become a follower so you can continue to enjoy. Have a wonderful weekend.